The UNICO system is a high velocity small ducted air conditioning system designed to be retrofitted into older homes where air conditioning is not present. This is the first of a 3-part blog that will detail the versatility and effectiveness of this system while at the same time maintaining the architectural and design integrity of your home. As depicted in the graphic above, the UNICO system typically fits into your attic or crawlspace access and small ducts are then carefully and artfully installed throughout the house. This eliminates cumbersome metal ductwork and registers. Small flexible ducts are carefully and thoughtfully woven through ceilings and walls to reach the first, second and third floors of a typical house. The system is completely sealed for maximum efficiency, with air always fresh and clean. 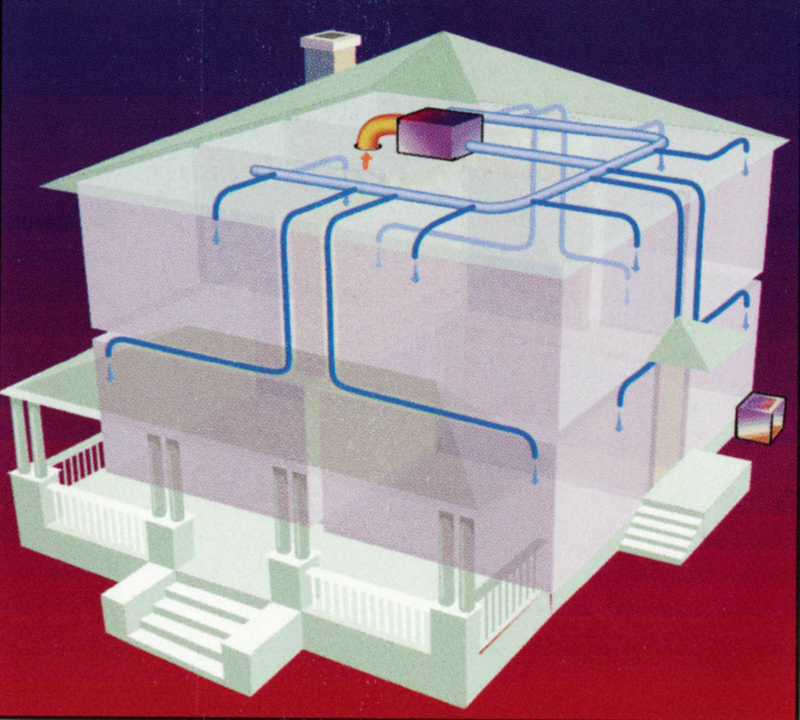 Conventional systems often leave homes with hot and cold spots as well as drafts. The UNICO System uses aspiration air flow. Conditioned air gently mixes in with air already in the room. There is no draft and the airspaces is uniformly cooled. Verne & Ellsworth Hann is recognized as a “UNICO Preferred Contractor” (UPC) company. We have installed high velocity systems across Northeast Ohio. Homes that are located in Cleveland Heights, Shaker Heights and University Heights can often be 100-years-old. It takes a contractor that is respectful of the unique design elements of your home and has the professional skillset to accomplish an engineering challenge. Every UNICO System is uniquely designed. There is no cookie-cutter installation when it comes to a UNICO System. Choose the contractor that always overcomes engineering design obstacles and provides superior customer satisfaction results. Call Verne & Ellsworth Hann to schedule an appointment to bring your 19th century home into the 21st century.